Project Roundtable highlights a project that’s making news in the local business community through an in-depth discussion with key players. In this interview, we sat down with Clark College faculty advisor Lucia Worthington, Clark student Joseph Wagner, and Americans Building Community executive director Mark Maggiora, to discuss a new student entrepreneurship club at Clark College that’s looking to get the attention of local businesses. To listen to this podcast, click on the player above. 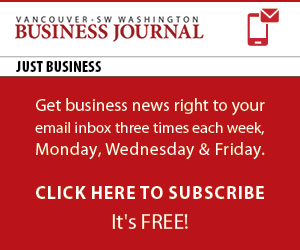 Like all of our VBJ Podcasts, you can hear it on-demand at the office, at home or on the go. All you need is a set of speakers.